It's a ‘once in a career’ opportunity to find a site like this, says Pete Harmon, Ridgeline’s regional partner. 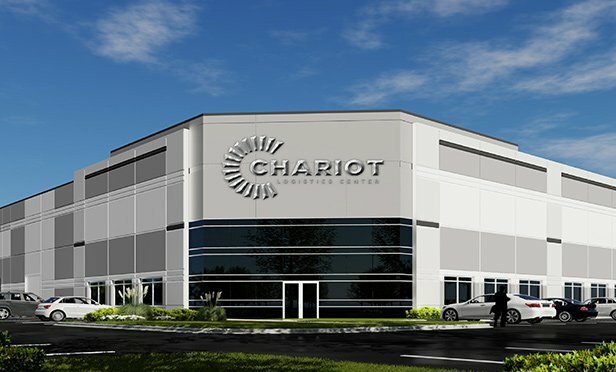 MELROSE PARK, IL–Ridgeline Property Group is planning the development of Chariot Logistics Center, a three-building, 623,000 square-foot industrial project in Melrose Park, IL. “Ridgeline Property Group continues to implement our company strategy of developing industrial facilities that are located in A+ locations and designed to accommodate the needs of today’s e-Commerce and distribution users that exist in the given submarket,” says Greg Thurman, CEO of Ridgeline Property Group. Scheduled for completion in the fourth quarter of 2019, Chariot Logistics Center will offer 32-foot clear height, modern building designs, ample parking and flexible sizing. Buildings will range in size from 135,000 square feet to 252,000 square feet, located within Melrose Park. In addition, the project will offer a Class 6(b) Tax Incentive. The 42-acre site at 8600 W. North Avenue is just seven miles from O’Hare International Airport and 13 miles from the City of Chicago. It has excellent access to I-290, I-294 and I-88. The area has a concentrated labor pool and a location surrounded by existing retail amenities on North Avenue. Larry Goldwasser, Colin Green, Matt Cowie and Michelle Maguire of Cushman & Wakefield will provide leasing services for the project. The leasing team anticipates strong interest from e- commerce, last-mile service providers, food/cold storage, manufacturing, warehouse and distribution tenants. “It truly is a ‘once in a career’ opportunity to find a site such as this which offers access to the area’s best-in-class transportation and labor markets and to be situated within the business-friendly municipality of Melrose Park,” says Pete Harmon, Ridgeline’s regional partner. Designed by Harris Architects and Kimley-Horn, the project will be constructed by Krusinski Construction. Currently, Ridgeline Property Group has nine million square feet under construction across the United States. The Cushman & Wakefield quarterly research findings suggest a strong start in office and industrial markets for 2019.